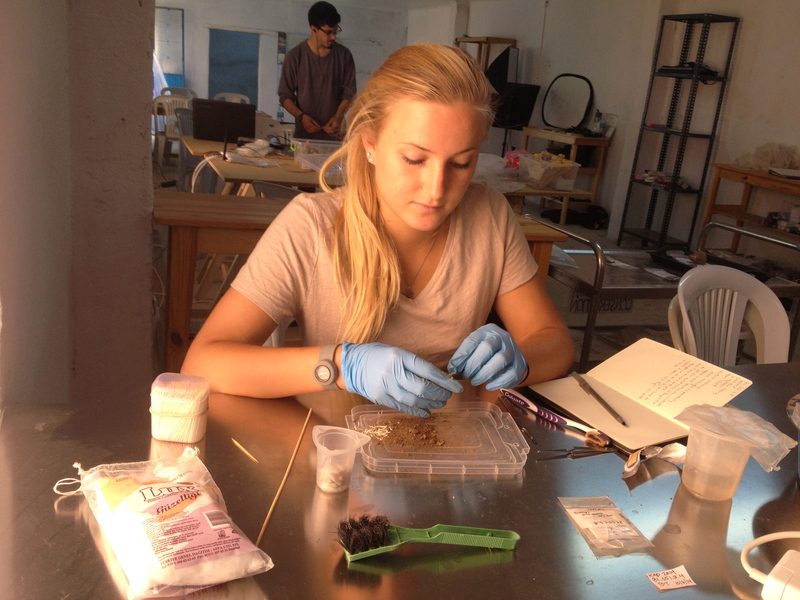 … with updates from two more of our project participants on their professional outreach activities this fall. Enjoy! On October 30th I presented on “Gygaia Projects: the Kaymakci Archaeological Project (KAP)” at the University of Delaware. The presentation focused on my time in the conservation lab on site and in Tekelioğlu. A typical work day for me consisted of cleaning the various types of artifacts coming out of the field, including ceramic and metal items, testing the conductivity of these objects, and cataloging them in the database to make sure their record would be saved for future purposes. The team’s conservators and I also spent a lot of time testing different mixtures of mortar to find one that would eventually be used for the consolidation of excavated architectural features. 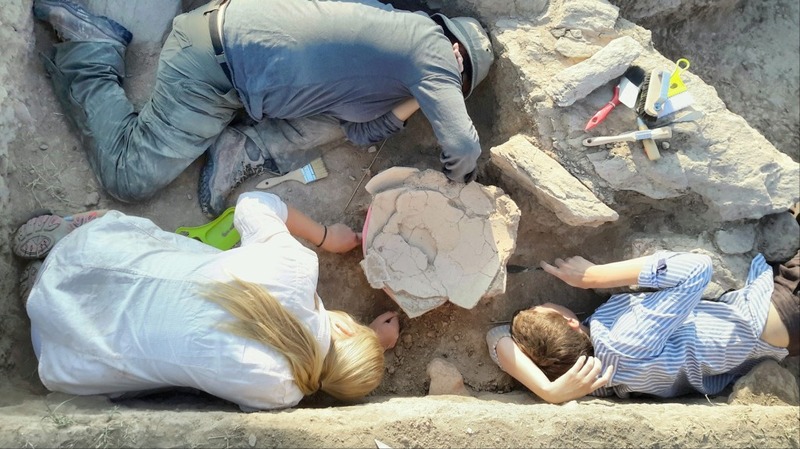 In addition, we participated in the removal of several ceramic vessels from the excavation areas and, once they got back to the lab, cleaned and reconstructed them to the best of our abilities. A view of closed excavation areas at Kaymakçı from September 2014. When it came to be the end of the season, we closed each of the four excavation areas, which entailed mortaring loose architecture, covering areas with geotextile, and weighing the geotextile down with sand bags and surrounding rocks. It was an incredible and knowledge-producing experience and I can’t wait to return in 2015! Representing my co-authors and Gygaia Projects Directors, Christina Luke and Chris Roosevelt, I traveled to Spain in September to present work at the International Conference on Vernacular Heritage, Sustainability and Earthen Architecture (VerSus). It was my first trip to Spain and I must say that I was completely overcome by the quality of urban space that infused places like Valencia and Barcelona. The paper entitled, “Thermal Zoning and Natural Ventilation in Vernacular Anatolian Settlements” was presented in front of a full audience in the School of Architecture’s Aula Magna at the Universitat Politecnica de Valencia. The conference theme was, “Lessons from Vernacular Heritage to Sustainable Architecture” and its primary goal was to identify fundamental principles from vernacular heritage while exploring ways to integrate those principles into the design of more eco-responsible buildings. Our contribution used state-of-the-art computational fluid dynamics (CFD) platforms to examine how early populations achieved thermal zoning by putting basic building attributes and material constituents to task, finely attuning building assemblages to ever-changing factors such as prevailing airflow. 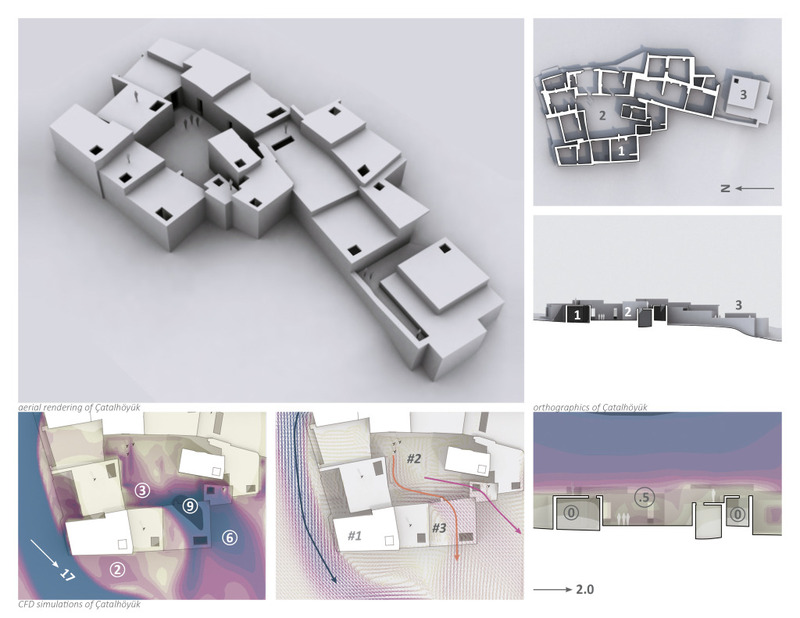 Two Anatolian settlements, Çatalhöyük (above) and Mardin (below), were analyzed using CFD platforms to disclose their respective passive cooling strategies relative to variable inputs, including wind velocity and direction. The presentation reported the findings from this analysis and discussed how these attributes produced comfort levels that rival contemporary standards, including air-change rates at 1.5 meters per second. 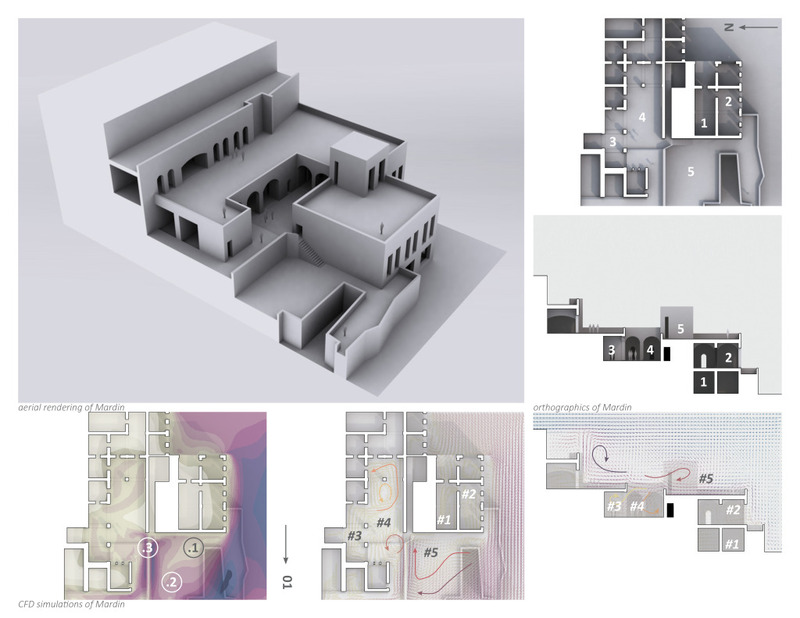 The presentation also demonstrated how these vernacular strategies from antiquity have been adapted for use in the design of the Gygaia Projects research and educational center to passively maintain thermal comfort while offsetting energy consumption. 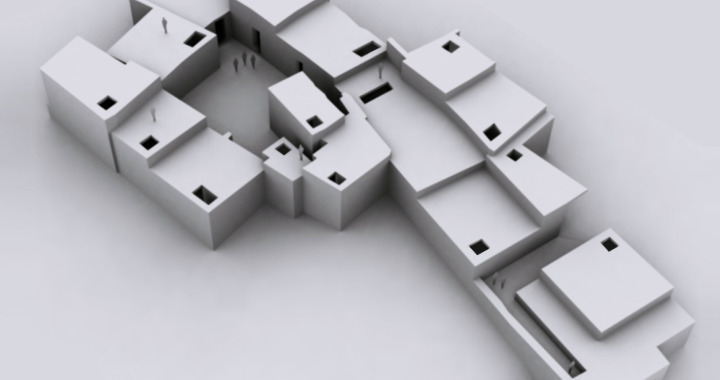 Posted in Architecture, Ceramics, Conservation, Environmental, Visualization, Voices.